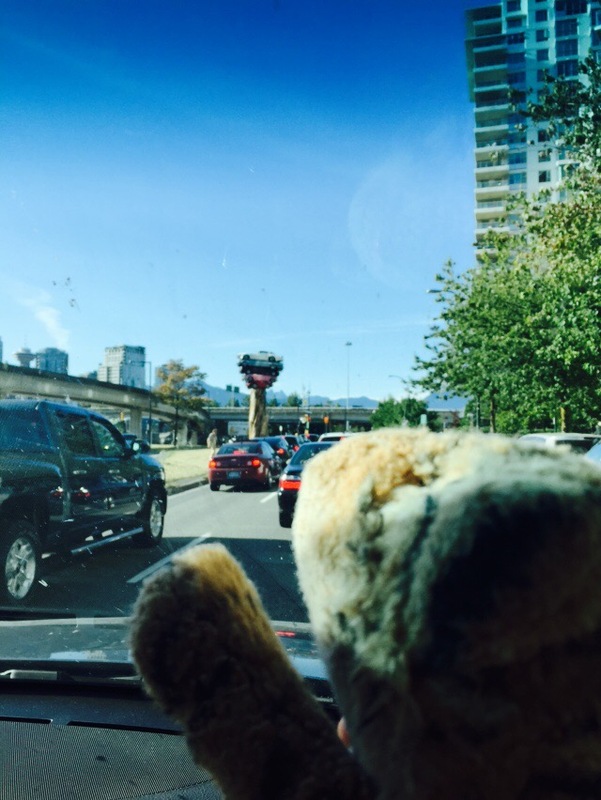 Kiki joined Mom, Don, Donna and George for a really special trip to Vancouver to see Taylor Swift in concert. 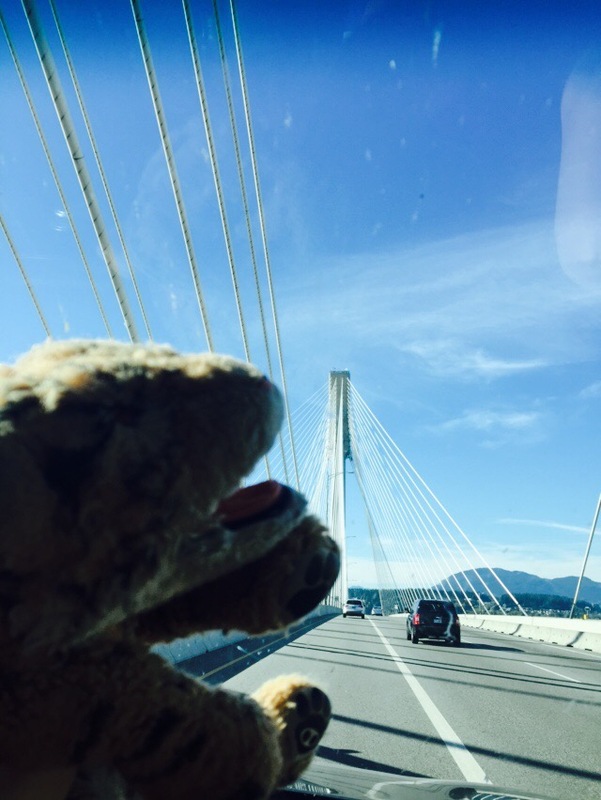 First they had to drive to Vancouver. 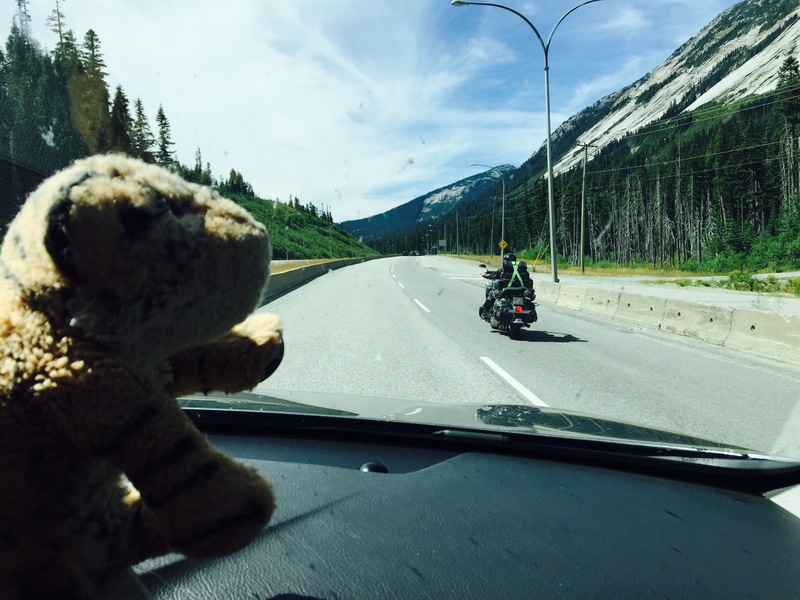 Kiki liked the seeing motorbikes on the highway as he didn’t see them last time he traveled this road at Christmas. Mom said motorbikes can’t drive safely on snow. 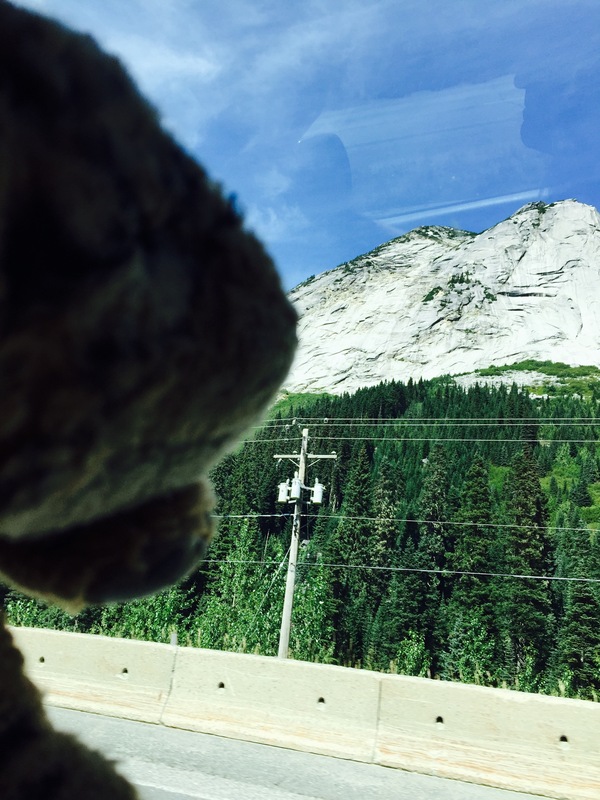 Kiki was mesmerized by the tall stone bluffs on the drive. 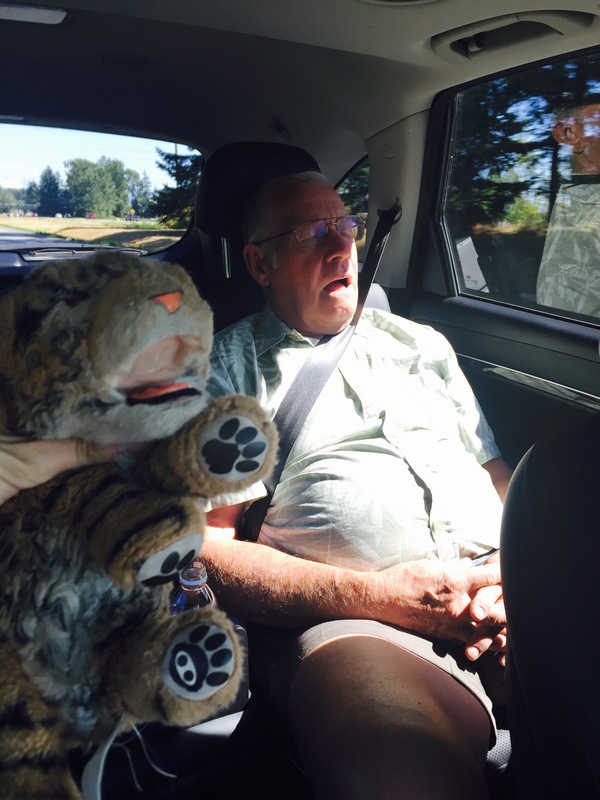 At one point Kiki took a cat nap with George in the back seat. We could hear them snoring together! Aren’t they cute? Kiki picked our dinner stop: the Shark Club! He liked seeing the big sharks along the ceiling and was really thankful they were only pretend sharks. 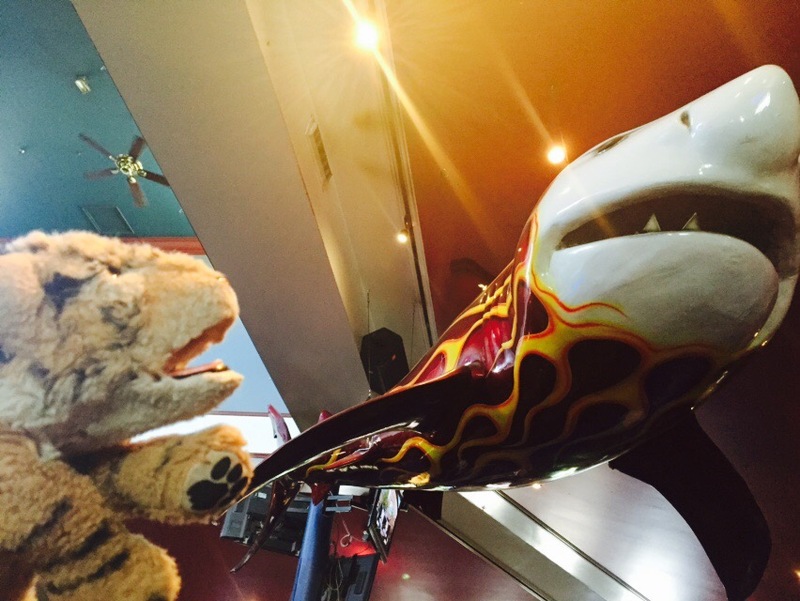 This flame shark was his favourite. We drove over a big bride and Kiki tried counting all the cables. There were too many for him to count. Do you see him counting out loud? 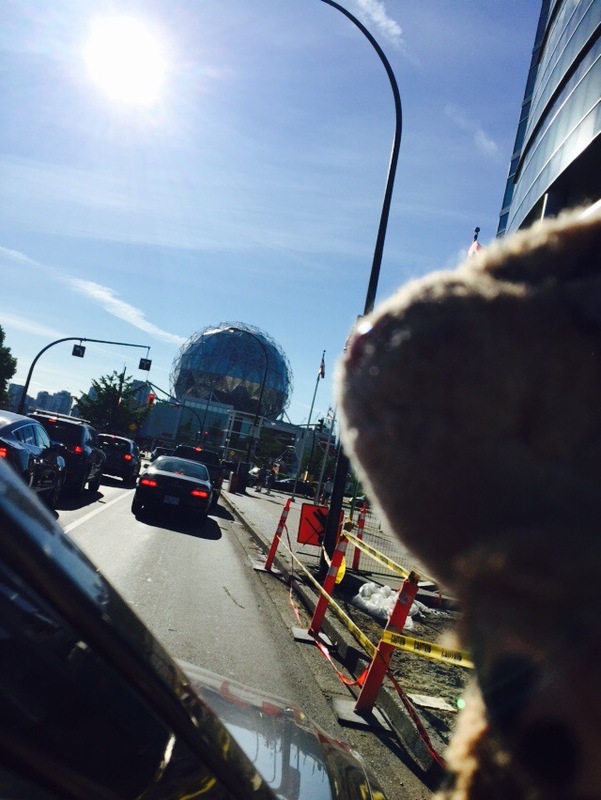 Kiki saw Science World in Vancouver. Do you remember visiting there last Christmas? Kiki giggled when he saw this stack of flattened cars. 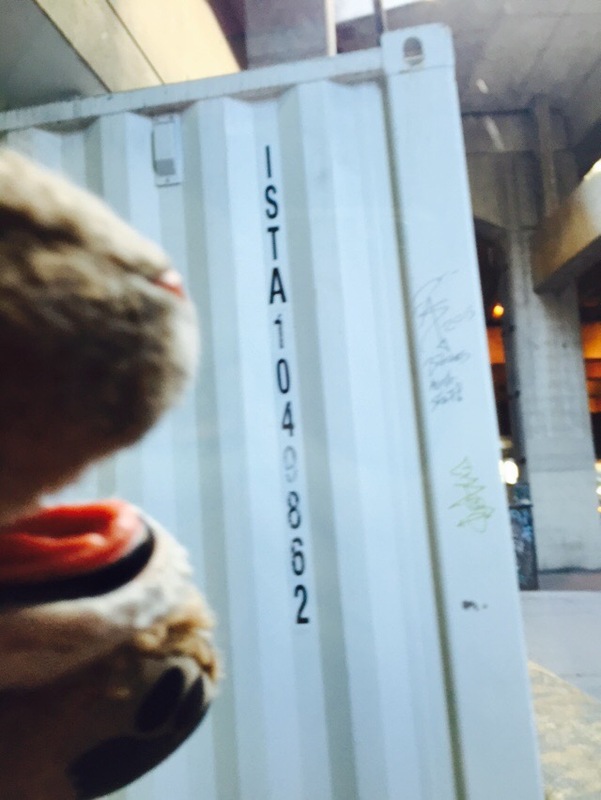 Kiki was annoyed to see so much graffiti in Vancouver. He growled and said if he did that at home he would have to clean it up and get a time out.